Is your puppy too young to be at home alone? Do you have an elderly dog that needs a potty break? Whether you are working long hours, want to get away for the weekend or taking a long vacation we understand how difficult it is to leave your pet. Stay At Home Pet Sitter wants you to have the peace of mind that if you’re not there, we are! Caring for pets is our passion. • Your pets stay in the security of their own home a familiar environment. • Keep their customary routine and diet. • Avoid exposure to other animals. • Your pet(s) receive lots of hugs, love and personal attention. • You do not have to impose on a friend, neighbor or relative to care for your animals. • The peace of mind knowing your babies are being cared for by a professional pet sitter. 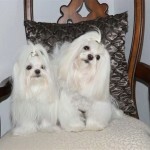 • Stay At Home Pet Sitter also provides additional services while caring for your pets. Our in-home pet sitting services allow your pet(s) to maintain their normal activities in familiar comfortable surroundings, and our presence provides your home with an “occupied” appearance in your absence. All our sitters are background checked, bonded and insured. They are reliable, responsible and are passionate about animals, especially your precious pets.